These terms of service where last modified on Sunday, 25 November 2018. Please read these Terms of Service ("Terms", "Terms of Service") carefully before using the Amber Digital website (the "Service") operated by Amber Digital ("us", "we", or "our"). In other words, by using browsing or using our website, you are required to read and agree to our terms of service, which is a contract between Amber Digital and you, the user. You agree to use all Amber Digital services and facilities at your own risk. Amber Digital specifically disclaims all warranties of merchantability and fitness for a particular purpose. In no event shall Amber Digital be liable for any loss, or loss of data, or other commercial damage, including but not limited to special, incidental, consequential or other damages. Customer agrees that it shall defend, indemnify, save and hold Amber Digital harmless from any and all demands, liabilities, losses, costs and claims, including reasonable attorney's fees asserted against Amber Digital, its agents, its customers, officers and employees, that may arise or result from any service provided or performed or agreed to be performed or any product sold by customer, it's agents, employees or assigns. Customer agrees to defend, indemnify and hold harmless Amber Digital against liabilities arising out of Any injury to person or property caused by any products sold or otherwise distributed in connection with Amber Digital‘s Services. Unless required by applicable law, our services are provided on "AS IS" BASIS, WITHOUT WARRANTIES OR CONDITIONS OF ANY KIND, either express or implied. 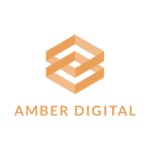 Amber Digital reserves the right to intervene with any of the sites hosted on its servers in the interest of its customers. Any material supplied by customer infringing or allegedly infringing on the proprietary rights of a third party Copyright infringement any defective products sold to customer from Amber Digital‘s server. Amber Digital shall be the sole judge of what violates this Policy. In other words, you use our services at your own risk and acknowledge we do not provide a warranty of any kind with our services. You also agree you will not hold us liable for any loss of data or damages and you understand that we can not be held liable for any demands, including but not limited to legal fees incurred by any legal action you choose to assert against us. You also acknowledge, that we reserve the right to review content you host with, us in the interest of our customers and to protect the intellectual property rights of others. We will decide if the content you host with us is against this policy or not. You agree that our delivery process satisfy's your requirements upon registration of any of our hosting packages. We will deliver our services upon completion of our background checks. We will send your account credentials to the email you registered with. We will suspend or terminate your account if you violate our terms of service. These Terms of Service and Acceptable Use Policies ("Terms and Policies") are an essential part of your relationship with ourselves and by using your hosting account, you agree to all of the Terms and Policies set out in this document. Any violation of either, these Terms and Policies or the other rules, regulations or policies noted above may serve as cause for us to suspend or terminate your account. You agree that we have the right, with or without notice, to suspend or terminate your account upon the first or subsequent violation of our terms of service. Any attempt to circumvent a suspension or termination will result in your access to our services being permanently withdrawn, with immediate effect. We reserve the right to report violations of our terms of service to Fraud Record and other similar services as well as law enforcement for severe offences. In other words, If you use your service in any of the following ways, we reserve the right to suspend or terminate your account, with or without notice. If you try to avoid a suspension or termination, your account will be disabled. Using 60% or more of system resources for longer than 90 seconds. There are numerous activities that could cause such problems; these include: CGI scripts, FTP, PHP, HTTP, etc. Hosting ‘bot’ websites, including, but not limited to Facebook, Twitter or Instagram bots. Hosting websites which contain currency minors. Using or Attempting to use pirated content. Using the Service in a manner intended to abuse or violate the privacy or property rights of others, including but not limited to sending of unsolicited bulk e-mail ("spamming"); this ground for suspension or termination is separate from and in addition to the fees which will result from such activity. You agree to pay a clean up fee of £50 per hour if any of our server IP addresses appear on a blacklist as a result of spam from your account. Using your shared hosting package as a file hosting service. Using your account as a backup service. All files must be part of your website and must be linked to from your account. VPS Server clients are excempt from this. Uploading, linking to or storing warez, cracks or other pirated/illegal software. Using your account for fraudulent purposes, including, but not limited to, hosting phishing pages or credit card generator systems. Assisting in distributing copyrighted material. Attempting to circumvent a suspension or termination. Harassing our company or staff, in any way, including, but not limited to, using Foul & Abusive language in any medium, Threatening Staff, Leaving untrue feedback regarding our service. Misusing support services, in any way, including, but not limited to intentionally filing multiple duplicate tickets, refusing to cooperate with staff, ignoring advice and guidance or targeting abusive material to our team. Furnishing false data on your sign-up form, contract, or online application, including providing incorrect contact information. Violating any laws applicable in the United Kingdom, will result in immediate termination of your account, and the closure of your account. In such cases, we reserve the right to share your personal information for the assistance of law enforcement personnel. We reserve the right to suspended your account without notice, if you violate our terms of service or fail to pay your invoice on time. Your order will be cancelled, if you do not resolve your suspension within 7 Days of it been issued. We reserve the right to close your account if you seriously violate our terms of service or violate them multiple times. You are required to contact us within 7 days of your account been closed, to obtain your account backup, otherwise it will be removed from our server. It is your responsibility to keep your contact details up to date and to frequently check your emails. Security - You agree not to access or attempt to access private areas of the Service. You agree to notify us as soon as you become aware of an unauthorized use of your account and/or any breach or attempted breach of security of your services. Intellectual Property - We do not currently undertake to examine or review messages, files, or other materials, which are accessible through, pass through, or reside on the Service. Complaints regarding alleged copyright infringement can be sent through our abuse form. Continuing a specific identification of the allegedly infringing material and the location(s) on our facilities where the materials are to be found. Upon receipt of such written notice, we will expeditiously remove or block access to the allegedly infringing material, and provide notice to the person who had posted that material. If we receive a notification from that person indicating that the claim of infringement was based upon mistake or misidentification, we will send you a copy of that notification. Unless you notify us of appropriate court action to restrain the alleged infringement, the challenged material will then be restored or other wise made accessible again. Liability - You agree that use of the Service is at your own risk. Except for information, products, or services clearly identified as being supplied by ourselves, neither ourselves nor any of our affiliate controls, provides, operates, or is in any way responsible for any information, products, or services accessible through the Service. Ourselves neither endorses nor is responsible for the accuracy of third-party material(s), and you agree that we are not responsible for any loss or damage caused by your use of, or reliance on, such material(s). You understand and agree that you have sole responsibility for your posting of any information or material to any site or newsgroup on the Internet, including but not limited to postings to Web sites, whether residing on our equipment or not, postings to newsgroups, and participation in any on-line chat sessions. You agree to indemnify and hold harmless our company and employees, and other customers and subscribers from and against any claims, losses, costs, liability, damages or expenses arising out of your postings. Backups - You understand that despite us taking frequent backups of our servers, that you will remain responsible for taking your own backups of your account. The backups we automatically create, are usually reserved for administration use only. However, select servers may allow customers to access and download the backups. We do not guarantee that these backups will be error free, and customers are responsible for making sure their backups contain all the files they require. Furthermore, customers are not permitted to store any self-created backups wether manually or through the backup utility on our server for more than 72 hours, if the backups use more than 20% of your total disk space usage. Amber Digital and it’s partners will not and can not be held liable, if the failure of a backup causes you direct, or indirect financial loses. Content Ownership - You will retain the ownership rights of any content transmitted through our service if you originally produced it. You are personally responsible for making sure you have the rights to use any and all copyrighted material present on your website. Support - We aim to respond to all tickets submitted to technical suppor within 12 hours and all other departments within 24 hours. However, we can not guarantee all tickets will be responded to within these target times. Although, we will provide compensation in the form of account credit if we take an unreasonable amount of time to respond to a ticket. You agree that, should you use the Service to send or receive voice communications, we do not act as a telecommunications carrier or telephone , that there is no representation made by us under any circumstances as to the suitability of the Service for such use, and that all risk of connection, transmission quality, and accuracy of communications is solely on you, and that we have no liability of any sort for the failure or lack of quality of such use of our services. You agree that under no circumstances we will be finically reliable for any direct or indirect loss of business caused by the suspension of your hosting account. User may not use our resources for any of the following activities. Participating in any of these activities constitutes to resource abuse and will result in temporary or permanent suspension of any accounts involved. Running any type of interactive real-time chat applications that require large amounts of server resources. Remotely powered chat applications are however fully permitted for usage on our servers. Running stand-alone, unattended server-side processes at anytime on our servers. Running any software that interfaces with an IRC (Internet Relay Chat) network. Run any gaming servers such as counter-strike, half-life or battlefield1492. You understand and agree that information and access available through the Service may include controversial, sexually explicit, or other material that may be offensive to you or users for whom you are responsible. We have no responsibility for or control over such materials, and you take sole responsibility for using any available screening software or other methods of limiting access to any material you may find objectionable where applicable. You agree that any disputes that can't be resolved between yourself, the client and ourselves the provider will result in termination of any related services. Also, dependent upon the severity of the dispute, we may choose to close your account. Customers may at any point decide to cancel their services with or without any prior notice or reason. When you cancel your account following conditions apply upon. Services will be terminated within 24 hours of request. Cancellations can not be overturned. You are required backup your account data yourself.